This is an exciting time in the Naples real estate market. 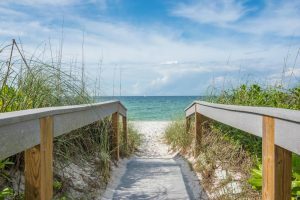 There are many unique beach homes, new luxury developments, condos, and single family residences that will make a great home and a solid investment. Some licensed real estate agents earn an additional REALTOR® designation, which is held by only a small percentage of real estate agents. A REALTOR® takes advanced training and an oath to uphold the highest ethical standards in the industry. This is what sets us apart as TOP real estate professionals. Home Buying Process: Why do you need a real estate agent? Is there an advantage to searching for a home without a real estate agent? Real estate fees are paid by the seller, not you — the buyer. Sure, you can make it a sport by browsing the listings for months to search out the deals; however, it is very time consuming. Realtors have the most up-to-date information on listings, neighborhood trends, market changes, comparisons, and benchmarks. A REALTOR® can provide insight, experience and market expertise, as well as expertise on financing. Weighing the investment potential of each property can be challenging without a solid knowledge of the market. It’s not well known, but many homes are ‘pocket listings’ that are never advertised publicly and by the time they reach the MLS, the listing is already pending or closed. Homes represented by real estate professionals sell faster and generally for a higher price. For all these reasons and more, using a real estate professional could be a very wise investment. Learn more about Naples Home Advantage downloading the brochure . Sign up for a FREE, NO-OBLIGATION CONSULTATION, including a complimentary Competitive Market Analysis of homes in which you have an interest. By entering the home location and home price in the mortgage calculator, you can estimate your monthly mortgage payment. As your real estate agent, I’ll monitor listings and be in regular contact with sellers and real estate agents. You will see all the newest listings right away, whether or not they’re made public.